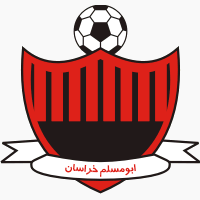 Aboomoslem is an Iranian football club based in Mashhad, Khorasan. They play in the Iranian Premier League. The team used to be sponsored by the Iranian military but are now sponsored by Iranian car manufacturer Iran Khodro.